Jes­sica & Friends Com­mun­ity is here for adult in­dividu­als with in­tel­lectu­al dis­abilit­ies and their famil­ies when help is needed most. Meet a few of our in­dividu­als and their famil­ies. Join us on May 3, 2019 from 7 - 8 am in the Terrace Room at Heritage Hills. for a free donor breakfast. Learn more about our programs and services. During the breakfast, you will meet Sarah and Austin. Two of the precious individuals we serve. Hear from their families how having a wheelchair van helps Sarah and Austin be connected with their community, enhances their social skills, and give them freedom to explore and experience new things. Please RSVP to Anne Fritts at 717-747-9000 or annefritts@jandfcommunity.org by April 19th to reserve your seat. Meet Sarah Carney and her parents, Dave and Leslie. 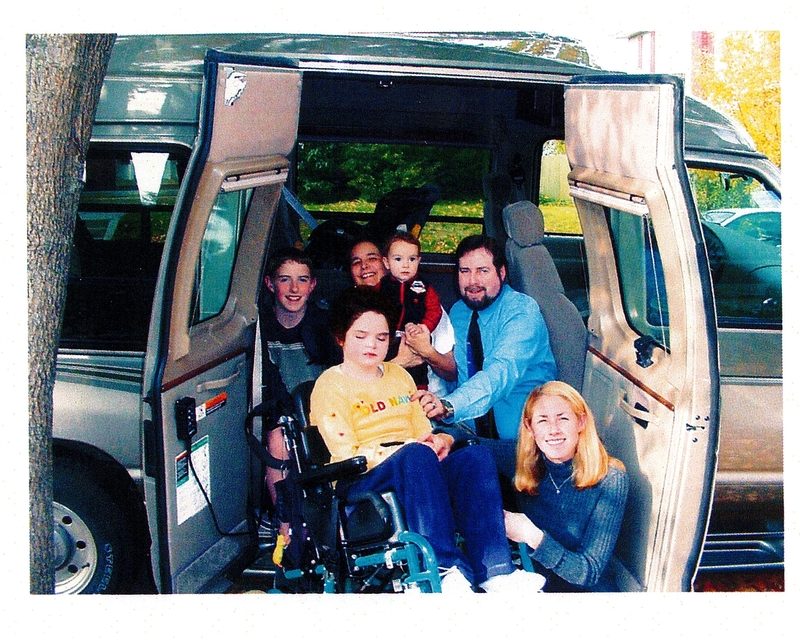 Hear how a customized van gave the Carney family the ability to travel together and gave Sarah accessability to be connected more with her community. To donate during the Give Local York event click here. Austin attends our Pathway Services York day program and is a part of our Pathway Players ensemble. 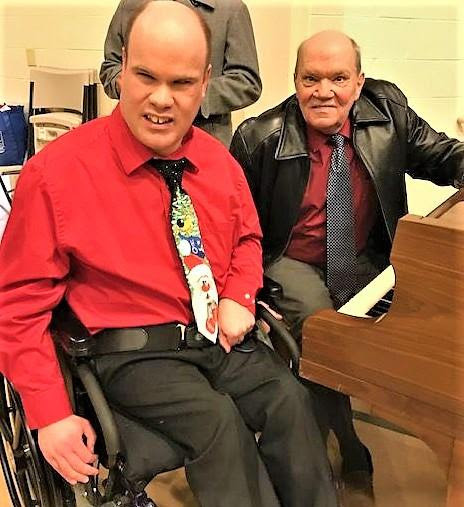 His personally shines in front of an audience and you can find him with Buddy King singing their signature song "Swing Low Sweet Chariot" at annual events. Jere and Sherry thank God every day for their miracle son. Austin had a complicated birth at just 25 weeks into the pregnancy which caused him to have Cerebral Palsy and loss of vision. Jere and Sherry have always encouraged Austin to explore. As a young boy, Austin enjoyed skipping stones with his Pap, going to Knoebel’s Amusement Park, driving tractor, singing in the choir. Today, he continues to participate in many of these same adventurous activities. He loves to go bowling and has a 140 bowling average. As you can see, Austin leads a very active life thanks to his parents continued support and their commitment in helping Austin lead a very productive live. Austin has a great support system that helps him achieve an active life style. Not all of us have that kind of encouragement in our lives. That is why having a wheelchair accessible van in our program is important! A van will give so many of our other individuals the accessibility to participate in community activities. Through community engagement, our friends will continue developing their social skills and explore new activities and interests. Please support Jessica & Friends Community during Give Local York to empower Austin and others who need this type of transportation to enjoy the freedom we all deserve.